Snr. Ceviche (formerly Don Ceviche) are holding a new regular Wednesday night pop-up at the Ariadnes Nektar bar in Latimer Road. They're doing a set menu of a Pisco Sour cocktail + 2 x Ceviches + Peruvian Super Quail + Pisco Love Cake for £22.50, and then additional Pisco cocktails at £5 each, Cusqueña beers for £3.50 each. You can even bring your own wine, and pay £8 corkage. 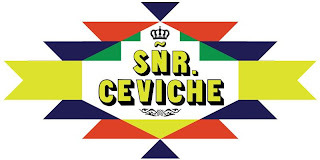 "Thanks to popular demand and after the success at The Art Cellar and Old Vic Tunnels, Sñr Ceviche are back - this time in W10! Every Wednesday night we will be showcasing our exciting new menu and our punchy pisco cocktails in an airy pub on Latimer Road and would love you to join us! Bring a posse, bring a hot date, bring your boss, bring your secretary - we won't disappoint you!"